Knee replacement surgery can help with severe arthritis pain and may help you walk easier too. Wear and tear, illness, or a knee injury can damage the cartilage around your knee bones and keep the joint from working well. 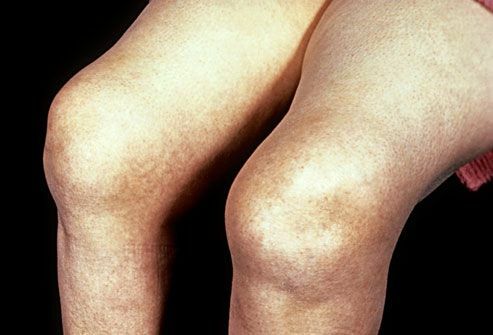 If arthritis symptoms are severe, your doctor may suggest knee replacement. 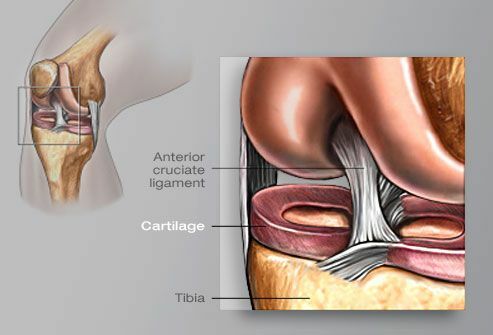 During knee replacement surgery, the surgeon takes damaged cartilage and bone out of the knee joint and replaces them with a manmade joint. 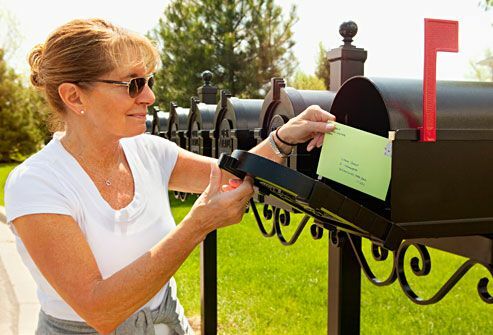 The operation is also called knee arthroplasty, and it's one of the most common bone surgeries in the U.S.
Common types of arthritis are osteoarthritis, rheumatoid arthritis, and arthritis that happens after an injury. No matter what type you have, the main symptoms of knee arthritis are pain, swelling, and stiffness in the knee. Over time, it may get so stiff that walking is hard or even impossible. You might have other symptoms too, depending on your type of arthritis. 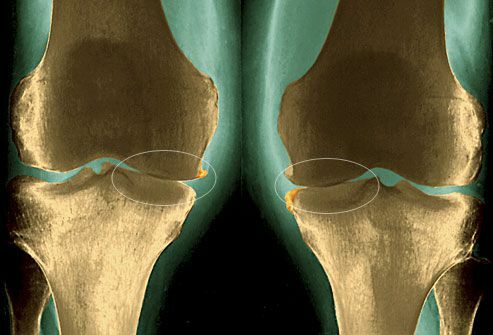 The cartilage that cushions the knee joint can wear away as you age, so that bone rubs against bone. The result: Normal motions of the knee get more and more painful. 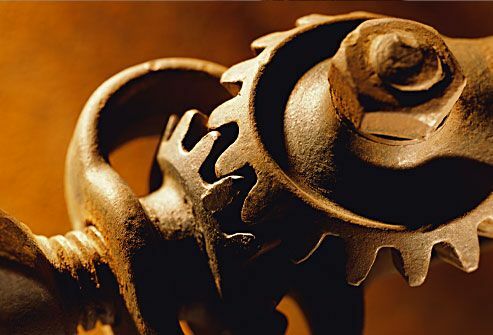 This "wear and tear" is called osteoarthritis, and it is most common in people over 50. Rheumatoid arthritis is a chronic illness in which the body's immune system mistakenly attacks the joints, causing pain and swelling. While osteoarthritis can strike just one knee, rheumatoid arthritis tends to happen on both sides of the body. It can also affect the hands, wrists, and feet. 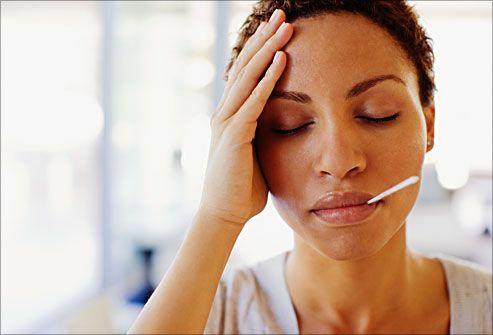 RA can also cause other symptoms too, like fever and fatigue. 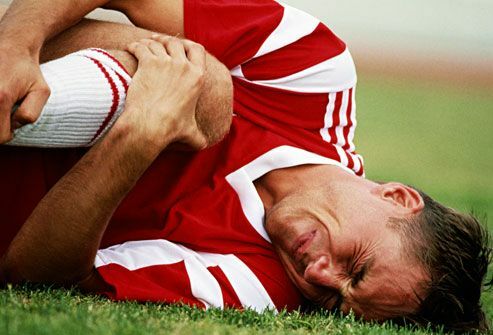 In some cases, arthritis starts after an injury, like breaking a knee bone or tearing one of the ligaments. The arthritis might not happen right away. Damaged bones or ligaments can lead to damaged cartilage over time, causing pain and stiffness later on. 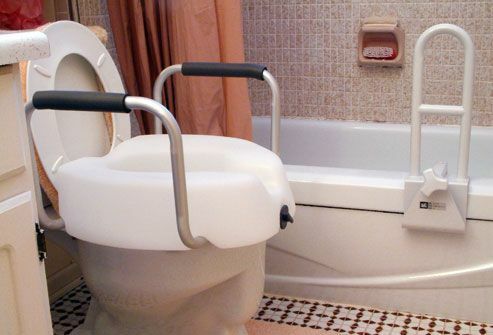 Put safety bars in the bath or shower. Pick up throw rugs and anything you can trip over. Buy a footstool for keeping your leg up. You should also ask someone to help you with daily activities during the first few weeks of recovery. Knee replacement usually takes 1 to 2 hours. 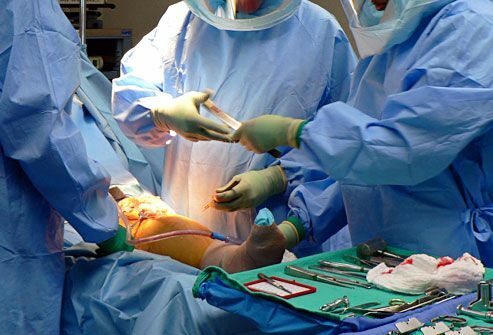 The surgeon removes damaged cartilage and bone from the knee. Then the doctor attaches metal implants to the ends of the thigh and calf bones. A plastic spacer goes between the metal pieces and helps the new joint move smoothly. Most people spend several nights in the hospital after knee replacement surgery. You will take some pain medicine. You should try to move your leg soon afterward. Moving around increases blood flow to the leg muscles and can help reduce swelling. 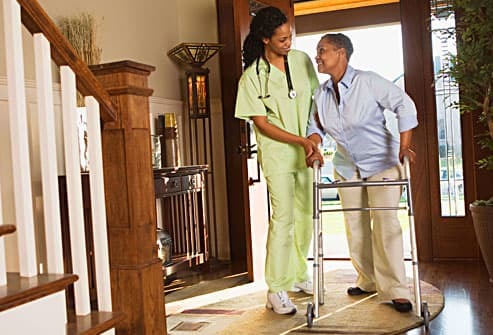 When you get back home from the hospital, you should be able to walk with crutches or a walker. 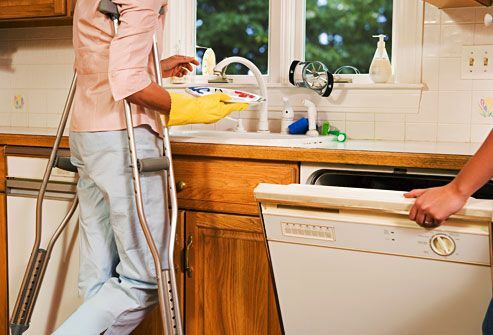 But you may need help bathing, cooking, and with household chores for the first 3 to 6 weeks. If you live alone, you may want to stay in a rehab center until you can do daily activities by yourself. To make the most of your new knee, you should follow your doctor's orders about being active in the weeks after the surgery. Too much rest can slow your recovery down, but you don't want to overdo it, either. Focus on moving around your house, taking walks, and doing the exercises suggested by your physical therapist. Physical therapy for knee replacement includes exercises for flexibility and strength. You can do these exercises at a physical therapy center or at home, but be sure to ask the therapist how to do them the right way. You should keep them up as long as your doctor recommends, usually at least 2 months after surgery. Blood clots in the calf or thigh can happen after knee surgery. A clot can be life-threatening if it breaks off and goes to the lungs. Your doctor will help you take steps to keep blood clots from forming. Support hose, compression devices, and blood thinners can cut down the risk of clots. Foot and ankle movement help too, so it's important to move around as soon as you get the green light from your doctor. Warning signs of a blood clot in the lungs (called a pulmonary embolism) include sudden shortness of breath, chest pain, and coughing. Signs of infection include fever, worsening redness or tenderness of the knee, and pus draining from the surgical wound. If you feel or see any of these symptoms after knee replacement, call your doctor immediately. 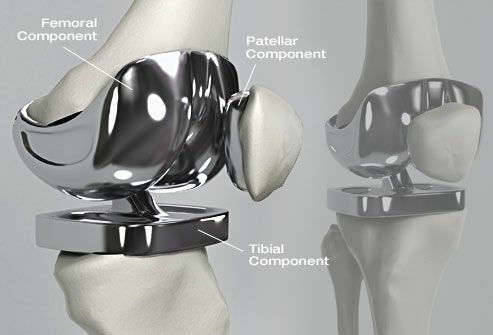 Knee implants continue to get more sophisticated, but they are not perfect. They can wear down over time or may come loose from the bone. Scar tissue can grow around an implant, limiting its range of motion. And even when they work well, implants can cause a clicking sound as the knee bends back and forth. 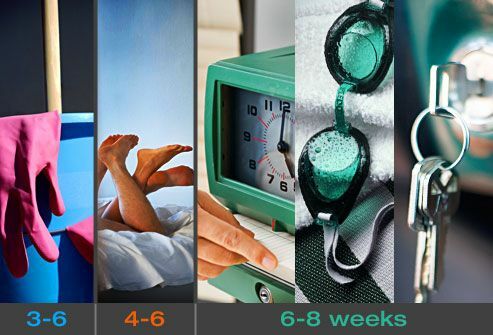 You can extend the life of your knee implant by doing several things. 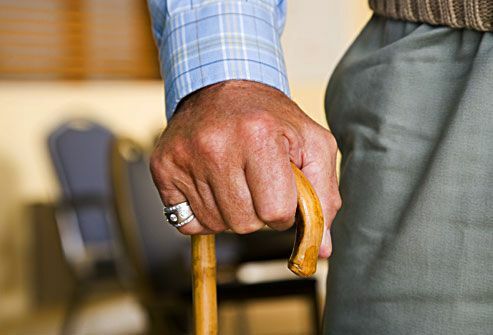 After surgery, use a cane or walker until your balance improves -- taking a fall can cause serious damage to a new joint. High-impact exercise can also take a toll on knee implants, so most doctors warn against jogging, jumping, and contact sports. 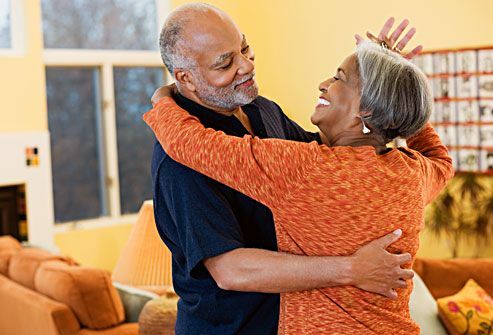 While some activities are off-limits after a knee replacement, you still have plenty of others to choose from. Unlimited walking, golf, light hiking, cycling, ballroom dancing, and swimming are all safe for most people with knee implants. By following your doctor's guidelines, you can expect long-lasting results -- about 85% of knee replacements will last 20 years. 1) Nucleus Medical Art, Inc.
4) Copyright © ISM / Phototake -- All rights reserved. 5) Copyright © Bart's Medical Library / Phototake -- All rights reserved. 7) Princess Margaret Rose Orthopaedic Hospital / Photo Researchers, Inc.
8) Scimat / Photo Researchers, Inc.
9) Southern Illinois University / Apogee Apogee / Photo Researchers, Inc.
18) Sam Edwards / OFO Images. American Academy of Family Physicians: "Treating Osteoarthritis of the Knee." 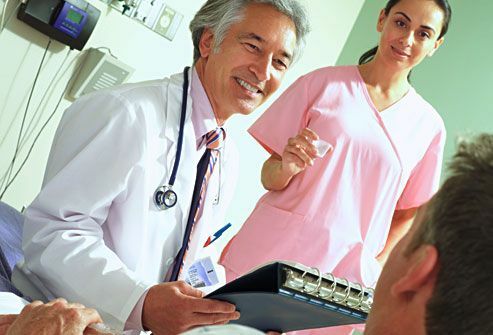 Agency for Healthcare Research and Quality: "Total Knee Replacement." National Library of Medicine: "X-Plain Knee Replacement." 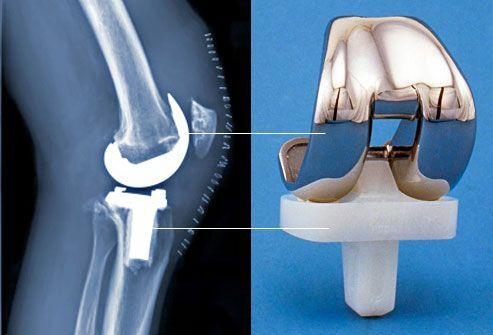 American Academy of Orthopaedic Surgeons: "Total Knee Replacement." American Academy of Family Physicians: "Rheumatoid Arthritis." American Academy of Orthopaedic Surgeons: "Activities After a Knee Replacement."